With a variety of colours, patterns and textures which offer unmatched durability and affordability, Wilsonart Laminates are a smart choice for any surface. So, what’s the difference between Wilsonart versus Laminex®, Formica® or other laminate brands? The Wilsonart Difference is AEON Enhanced Performance Technology. AEON technology, exclusively available on Wilsonart HD and Wilsonart AEON Laminates, creates a surface that is dramatically more durable than before – a surface that keeps its good looks longer. 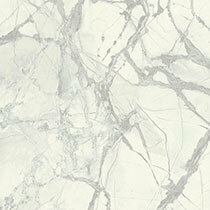 Wilsonart Laminate, inspired by the earth, not mined from it. A step up in design and performance, Wilsonart’s AEON Laminate designs features Enhanced Performance Technology, which dramatically outperforms traditional laminate for wear and scuff resistance. Introducing the new AEON Quartz Collection, we’ve created these new designs with residential and commercial applications in mind, making them available in our AEON™ Enhanced Performance laminate. Developed taking inspiration from trends in stone finishes the AEON™ Quartz Collection allows you to bring the look of quartz, with the convenience and affordability of laminate to your project. AEON™ technology creates a surface which is dramatically more durable than before – a surface which keeps its good looks longer. Laminate with AEON™ technology outperforms traditional laminate on wear resistance, as well as scratch, scuff and mar resistance. Why be restricted to a gloss surface in high wear laminate when AEON offers you an entire range of surface finishes to choose from, all in our enhanced performance quality. Discover the satin 07 finish, the natural softgrain timber texture of 12 finish, the pitted stone effect of 52 finish or the super high gloss of 01 finish. HVG Decorative Building Products offers innovative, versatile and high-quality decorative building solutions. The colour reproduction on our website is subject to the colour calibration of your computer monitor & printer limitations. Please review actual samples before ordering. HVG is a privately owned Australian company that imports and distributes graphics media, industrial fabrics and decorative building products throughout Australia. now be tailored to your needs.